One explanation for why female songbirds attend to male song is that the quality of a male's song is associated with the quality of his developmental history. We tested this hypothesis by playing back to female swamp sparrows (Melospiza georgiana) songs recorded from males of either inferior or superior developmental histories, as assessed by their rates of mass gain during the first 18 days post-hatching. 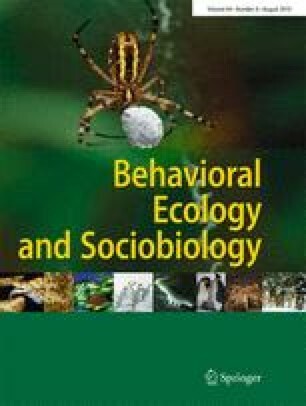 Females showed significantly higher levels of courtship display in response to songs of males with superior growth than to songs of males with inferior growth. Out of nine song traits measured, only song duration correlated with variation in female response; duration was also the only trait that differed significantly in univariate comparisons between the superior growth songs and the inferior growth songs. In a multivariate analysis, however, inferior growth songs were best discriminated from superior growth songs by combining three song traits: trill rate, stereotypy, and the number of notes per syllable. We suggest that early developmental stress degrades song in many small ways, and that it is the cumulative effect of the resulting deficits that explains lower female response. We thank Melissa Hughes, Barb Ballentine, and Rindy Anderson for help with fieldwork, Monica Carlson and Laurel Cooper for help with hand-rearing, the Pymatuning Laboratory of Ecology for logistical support, and the Pennsylvania Game Commission for access to field sites. Financial support was provided by grants from the National Science Foundation to WAS (IBN-0315566) and to SN (IBN-0315377) and by a Feodor Lynen Research Grant from the Humboldt Foundation (Germany) to SK. The study complies with all current laws of the USA. The authors declare they have no conflict of interest.